Founded in 1900 by Clara Pauline Barck (1868-1965). "Kalo" is Greek for "beautiful." Employees were mainly women, and produced leatherware and jewelry. 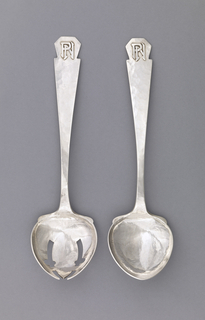 In 1905 Barck married metalsmith George Wells. Together, established Kalo Art-Craft Community at their home in Park Ridge, IL, which consisted of schools and shops. 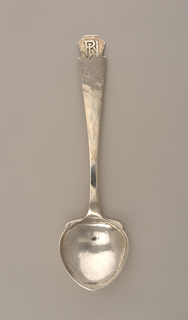 Barck hired trained silversmiths, including many Scandinavians. Establishment moved to Chicago 1914. Produced mainly jewelry and metalwork. We have 5 objects that The Kalo Shop has been involved with.